With poor school acoustics, a teacher’s job can be made even more difficult. Having to shout above a noisy class with uncomfortably high reverberation levels can lead to raised stress and in some severe cases tinnitus, resulting in unproductive lesson times for teachers and students. 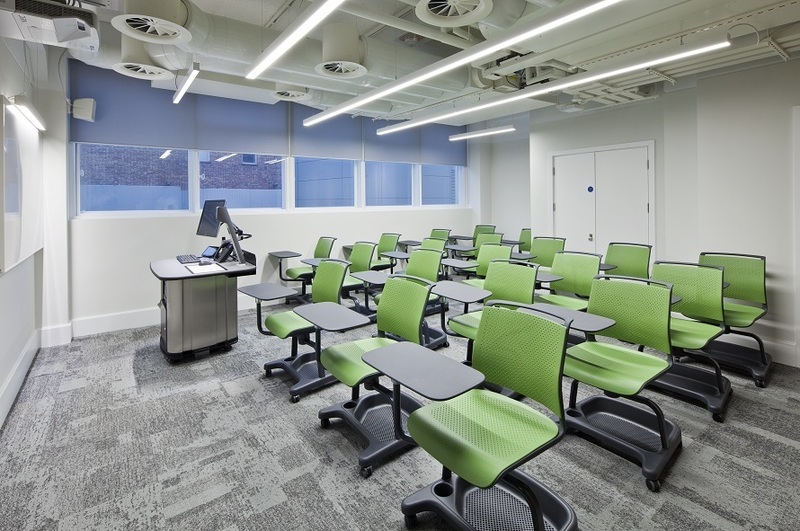 Fortunately there is a solution for poor school acoustics, whether it be classrooms, corridors or sports halls, lecture theatres or auditoria with our SonaSpray range. The SonaSpray reverberation control range, which has finishes from flat to textured, enables the perfect control of sound for a guaranteed school acoustics BB93 regulation test pass first time. 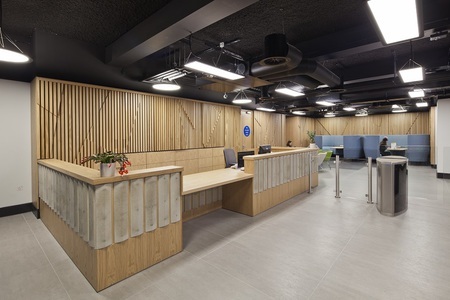 SonaSpray is normally spray applied directly to the soffit meaning it appears as part of the room rather than an afterthought as with some acoustic panel systems. It is also ideal for both new build projects or as a retrofit solution to an existing school acoustics issue. Oscar Acoustics product range includes economical, guaranteed acoustic solutions based upon fire rated recycled natural components. 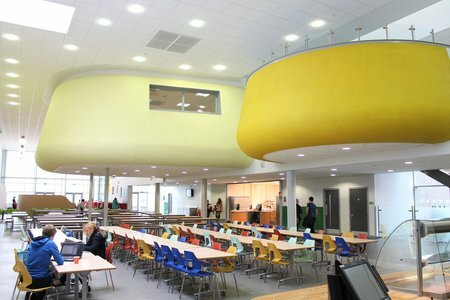 Contact us today to see how we can help you and receive a free school acoustics appraisal. Spray applied acoustic finishes ideal for classrooms, corridors, halls, atria, auditoria, music rooms...Let your imagination run wild! 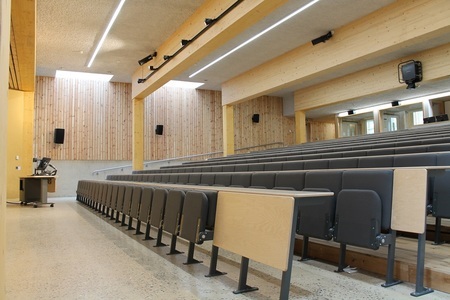 “Our brand new building incorporates a multi-purpose hall which unfortunately was designed in such a way as to produce reverberation of nearly two seconds! The architect's solution of fitting high level, 'sound absorbing' panels produced a negligible improvement. We continued to 'battle' with intolerable 'echo' making the room unfit for its purpose. 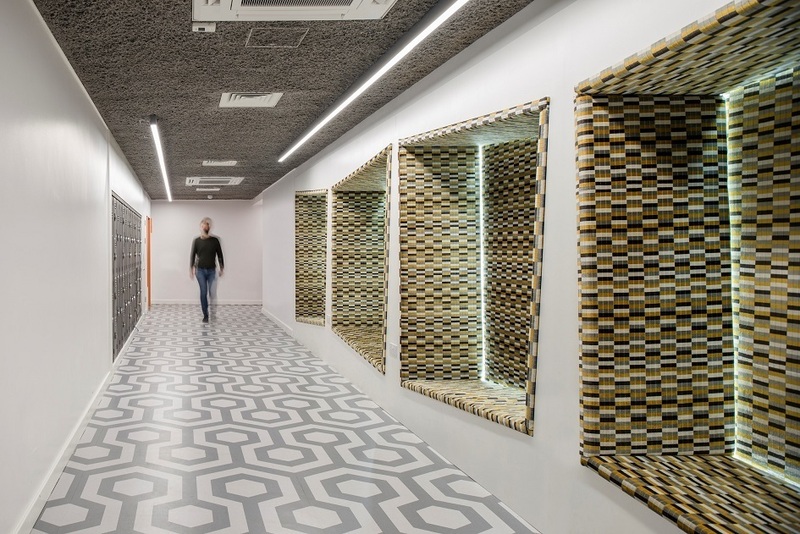 Following an independent sound monitoring exercise an alternative acoustic dampening application was recommended. SonaSpray was selected. My caretaking staff were greatly impressed by the attention to detail paid by your engineers in the installation procedure. Every surface was carefully covered and the procedure was professionally completed. The effect of the application has been tremendous! The hall is a different room and PE, assemblies and lunchtimes have become pleasurable occasions compared to the sonic battleground we experienced previously. We are all delighted with the improvement in the hall and can now concentrate our efforts upon our business - teaching and learning. Click here to see more of our testimonials. 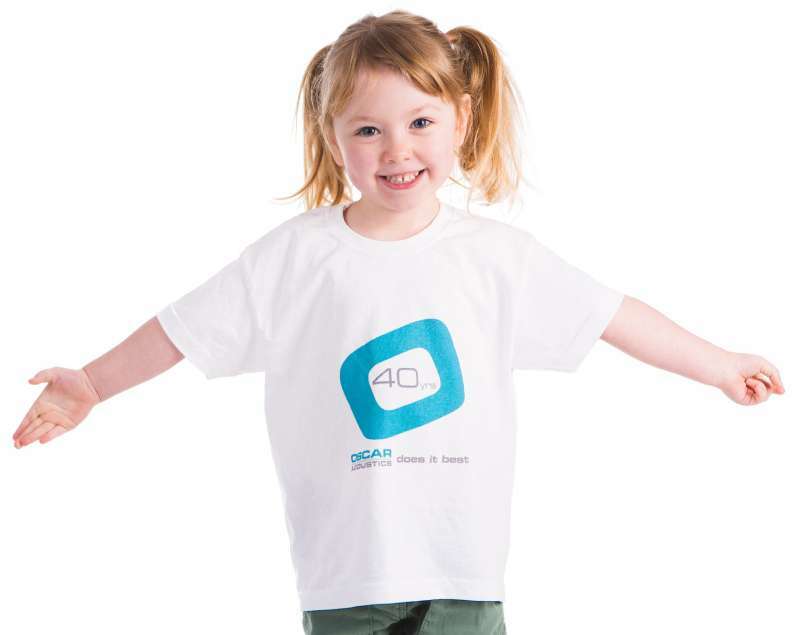 Oscar Acoustics has the ultimate acoustic solution for sports halls, with previously unheard of acoustic results achieved and for a fraction of the price if traditional, lesser performing methods. 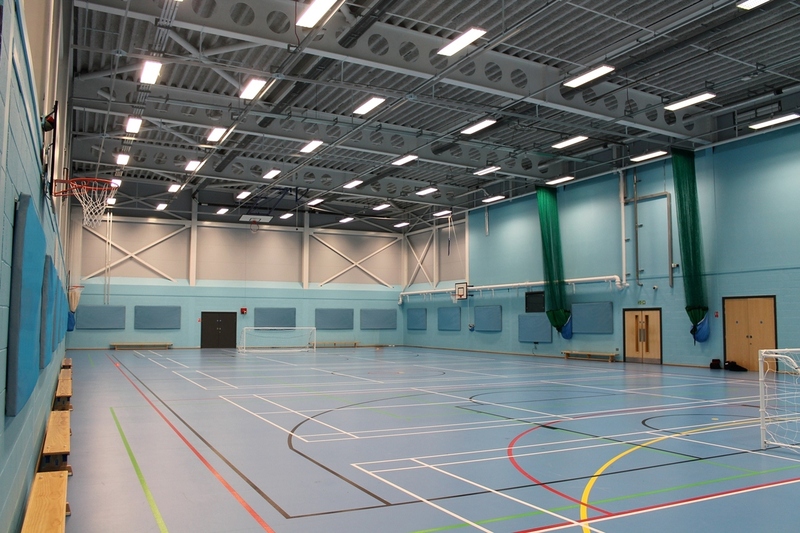 Sports halls can now have similar acoustic levels to smaller classrooms for the first time! 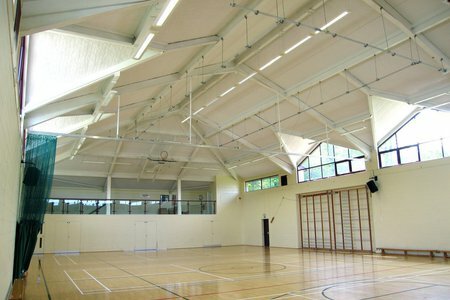 SonaSpray K-13 in light grey (pictured right) with Oscar Evo-Panels at low level to control noise reverberation in this sports hall. 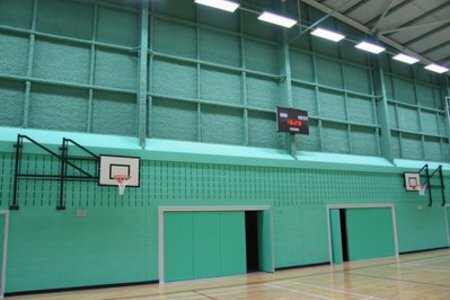 Click here to read more about our complete Sports Hall acoustic solution combined with our Oscar Evo Panels. *Class 0 to BS476 Part 6 fire rated. This unique project is the first ever school building to be built under a motorway. The technical challenges were considerable and involved forming an independent, acoustically separated structure below the concrete framed Westway, next to the Hammersmith and City tube line. SonaSpray K-13 in mid-grey was applied onto concrete and plasterboard at 25mm thick to control reverberation, give clarity to sound and reduce overall noise levels. 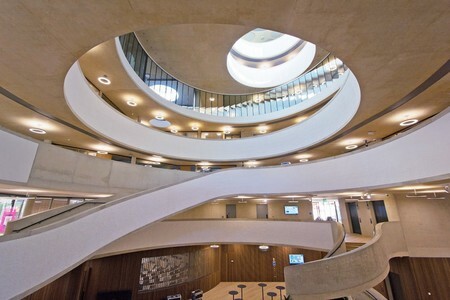 With its student population increasing rapidly, University College London (UCL) required more space on its campus in Bloomsbury. 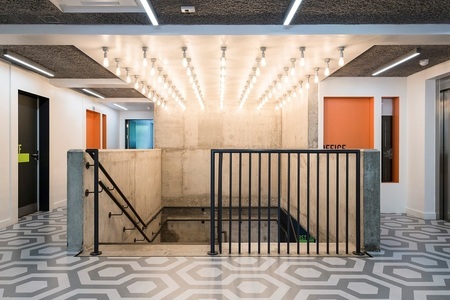 Working with the University’s Design Team, Structure Tone helped develop a scheme to refurbish the ground floor and basement and also renovate Level 10 at Torrington Place. 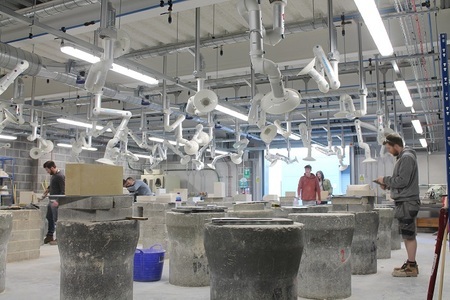 This state-of-the-art construction skills centre at Bath College is a purpose-built facility accommodating new workshops that cater for 500+ apprentices and students studying bricklaying, construction, carpentry and stonemasonry, as well as plumbing, electrical installation and refrigeration. Without acoustic treatment the noise levels within these spaces would have been uncomfortably high whilst machinery was in use. 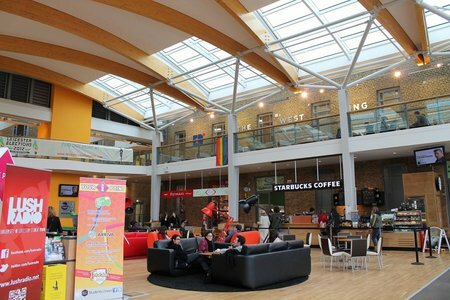 The large, open plan design of Leicester University’s new Student Union building meant that in order for it to be fit for purpose, i.e. 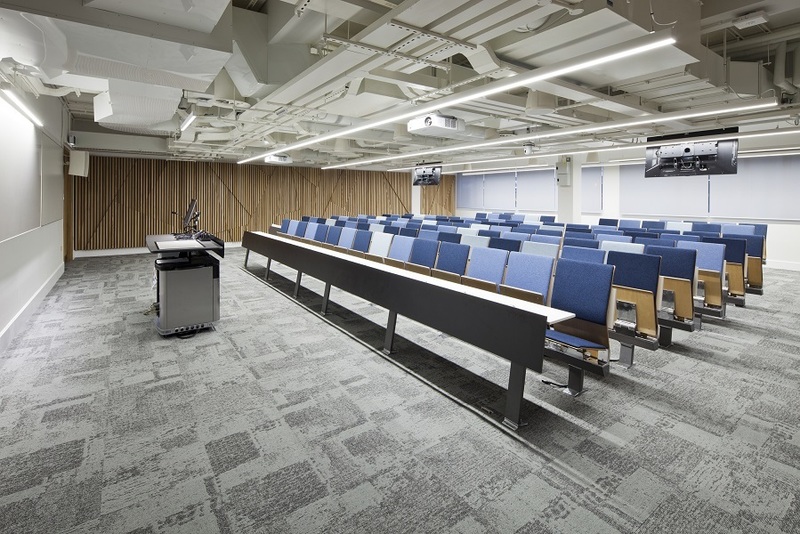 a relaxing space to meet socialise and study, some kind of sound absorber was going to be needed. Options were limited due to the half glazed and half curved feature sail design of the ceiling. 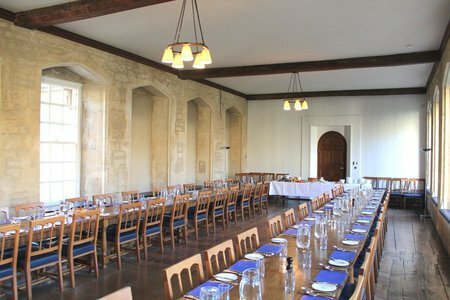 New College is one of the largest Oxford colleges, with some 400 undergraduates and nearly 200 graduates. It is, as all Oxford colleges, an autonomous, self-governing institution. 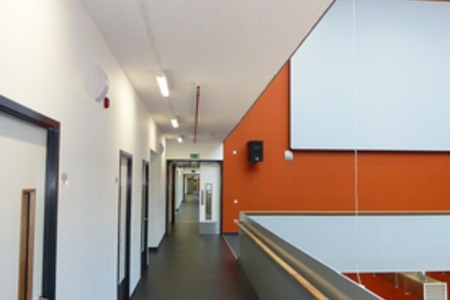 Throughout the construction of St. Pauls Way Community School in London's Tower Hamlets, Oscar Acoustics assisted Bouygues UK with their school acoustic ceiling requirements. 3,000m2 of SonaSpray K-13 Special was applied to light wells, corridors, balconies & the activity hall resulting in easy 1st time compliance with BB93 testing.